As part of the Got to Be NC Competition Dining Series, Triangle 2015, I had the pleasure to interview the talented chefs from the four Raleigh restaurants participating in this year’s competition and learn more about their culinary experience, why they think they have what it takes to win the competition, and other fun tidbits about them. 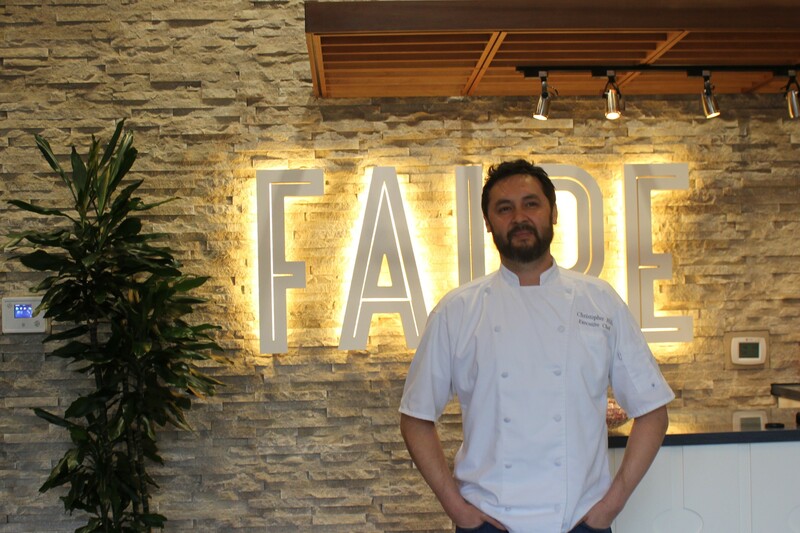 Chef Christopher Hill is the executive chef at Faire, a modern and funky steak and seafood restaurant newly opened in Raleigh’s Cameron Village. He is a long-time lover of food and has spent years working in the restaurant industry in North Carolina and Oregon. Before coming to Faire, he was head chef at The Oxford, another Eschelon Experiences establishment in downtown Raleigh. This gives him great insight into the tastes and trends of the Triangle restaurant community. 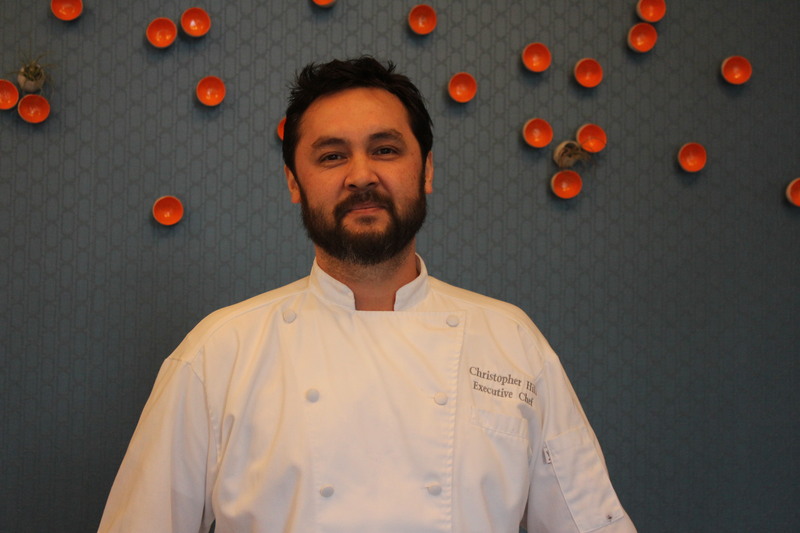 Chef Hill’s cooking style is classical French foundation with Southern influences. I sat down with Chef Hill earlier this week and had a delightful conversation about his restaurant, cooking philosophies and how he and his team plan to win this competition. Kel’s Café: You’ve been in this competition before, so you know what to expect. Chef Hill: Yes, I’ve competed the past few years representing The Oxford. But last year, I was in the midst of the beginning stages of getting Faire started and, when I walked in to compete, it seemed all brand new again, even though I was a veteran. Hopefully that won’t happen this year! Kel’s Café: Do you get to bring along your own team? Chef Hill: Yes, the rules are that you have to have one person who works in your restaurant, and then you can bring along someone else. We’re lucky enough this year to have our sous chef and pastry chef on the team. They are both first timers. Kel’s Café: Do you have a plan in mind on what you’re going create, regardless of what the secret ingredients are? Chef Hill: We don’t have a plan on what we’re going to fix, but instead have an arsenal of recipes that can go with anything they choose. And if you’re familiar with North Carolina products, you’ll most likely see all of them in the pantry that’s provided. The most challenging ingredient I’ve had so far was shrimp. It was the first year I competed, and back then you had to incorporate the secret ingredients in all three of the courses. Finding a dessert course with shrimp was hard. Now they have changed the rules so you only have to use the secret ingredients in two of the three courses, so that definitely makes it easier. Kel’s Café: Are you familiar with your competitor, Chef Teddy Diggs of Il Palio? Chef Hill: I am not. I’m familiar with the Siena Hotel — they do a great job at Il Palio. They’ve been in the competition a couple of years, but I don’t know Chef Diggs. I haven’t done much research yet, but will do so before the competition. Kel’s Café: Where did you train? Chef Hill: I actually started washing dishes in a restaurant when I was 14, and just remember being in awe of what was going on in the kitchen – the fire, the knives, the adrenaline rush going through a busy dinner period. From there I was hooked. I knew what I wanted to do at an early age and have been doing it ever since. I grew up in a really small town and, when I was 19, some friends and I decided we wanted to get out and see what else was going on in the world. We moved south and basically I got on-the-job training in different places. I got my first executive chef position when I was 21, at the old Fox and Hound in MacGregor Village in Cary (not to be confused with the Fox and Hound at North Hills.) That was years ago, and we did everything from scratch, using local ingredients whenever possible. It was a great learning experience. Kel’s Café: What is your signature dish? Chef Hill: I don’t really have one, but I do have a style, which is classical French with some Southern influences. Kel’s Café: What has been your biggest food disaster? Chef Hill: I was a chef at MacGregor Downs Country Club. We did a number of events outside, which was great. I remember it was one Sunday after a golf tournament and we were grilling steaks, burgers and chicken. There were so many people and the grill got overloaded, which meant there was a lot of grease in the bottom tray. Kel’s Café: Let me guess, grease fire! Chef Hill: Oh yeah, it caught on fire! There were close to 400 people there, many who wanted to pour their gin and tonics on the fire to help put it out, so we had to deal with that in addition to the fire itself. We eventually put it out with some baking soda. Kel’s Café: Let’s talk about what you do when you’re not at work. I read that you ski and snowboard — where do you like to go? Chef Hill: I grew up in the Michigan peninsula and went to ski school at a really early age. I lived in Oregon and skied out there, and now try to take a trip out west every year. I’ve been to Snowshoe, WV and the N.C. slopes. Utah’s probably my favorite place to ski. I had the opportunity to go helicopter skiing in Utah once and that was a lot of fun! Kel’s Café: I also read you have two small daughters. Do they like to help in the kitchen? Chef Hill: Oh, they love it! Lucy’s the oldest and is always asking questions about baking. She and her sister, Fiona, love to help prep. Kel’s Café: How old are they? Kel’s Café: What is your favorite cooking tool? Chef Hill: Right now, it’s a combination oven — it’s a smoker, steamer and convection oven. We smoke butter here for a flounder dish we make, and it’s amazing. Besides that, it has to be my knives. Kel’s Café: What is your favorite area restaurant? Chef Hill: We don’t get out that much with the little ones, but we like to try all of the new places in Raleigh to see what they’re doing. And I really want to try One in Chapel Hill — I hear it’s great! Kel’s Café: What advice do you have for up-and-coming chefs? Chef Hill: Just to stay focused, dedicated and passionate. Always remember why you got into this industry to begin with. Kel’s Café: How will you win this competition? Chef Hill: The team we have is great! 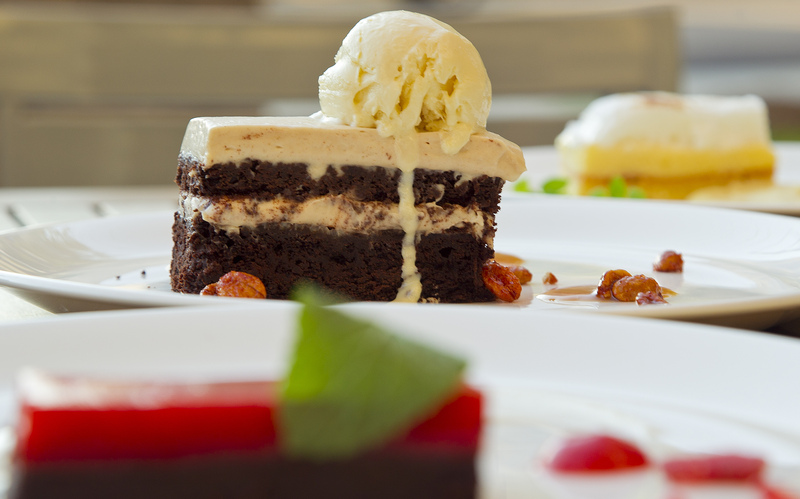 Having our pastry chef with us is huge and our sous chef is very knowledgeable and ambitious. He’s been wanting to be in the competition for a couple of years now and I just feel like he’s going to fly. Plus previous experience is certainly a plus and should help us save time in some areas. Brad and I dined at Faire right before Christmas and I can highly recommend the Carolina Bison Bistro Steak, which was cooked perfectly (medium rare) and came with some of the smoked butter that Chef Hill mentioned in the interview. Yum-o! Brad had the Pink Peppercorn Crusted Tuna (rare), also cooked to perfection. I had a bite and it was awesome! 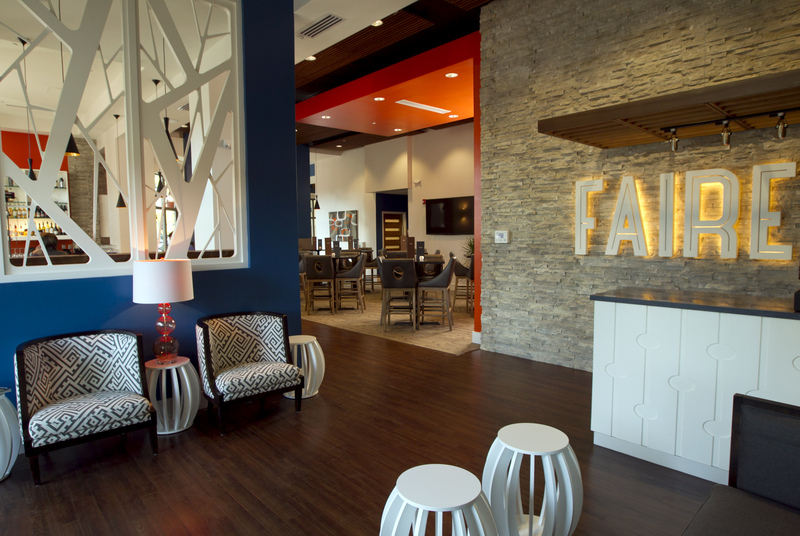 Make sure you check out Faire’s website for hours and the menu http://www.fairerestaurant.com/about/ And remember, Faire is open for lunch as well as dinner. This entry was posted in Chef Interviews, My Favs, Restaurant Reviews and tagged Chef Christopher Hill Faire Raleigh, Chef Christopher Hill interview with Kel's Cafe, eat drink and be merry, Faire Steak and Seafood Raleigh, Got to be NC Competition Dining Series, Kel's Cafe Chef Interviews, NC dining competition 2015 Chef Christopher Hill. Bookmark the permalink.